IX, 342 p., 14,8 x 20,5 cm. 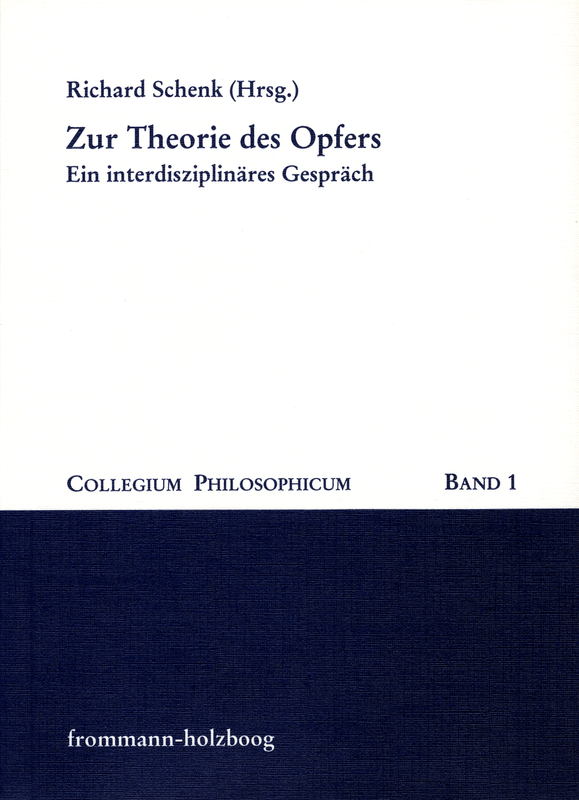 With contributions by Horst Bürkle, Hinderk M. Emrich, Gérard Gäfgen, Jean Greisch, Fritz Hartmann, Franz-Xaver Kaufmann, Wolfgang Kluxen, Peter Koslowski, Richard Schenk, Robert Spaemann and Falk Wagner. The complex and contentious issue concerning the concept of sacrifice is studied here in an interdisciplinary discussion. Philosophical, psychological, medical, economic, sociological, religious and theological aspects of the sacrifice itself and making a sacrifice are compared.